Fall is a beautiful time of year to tie the knot. 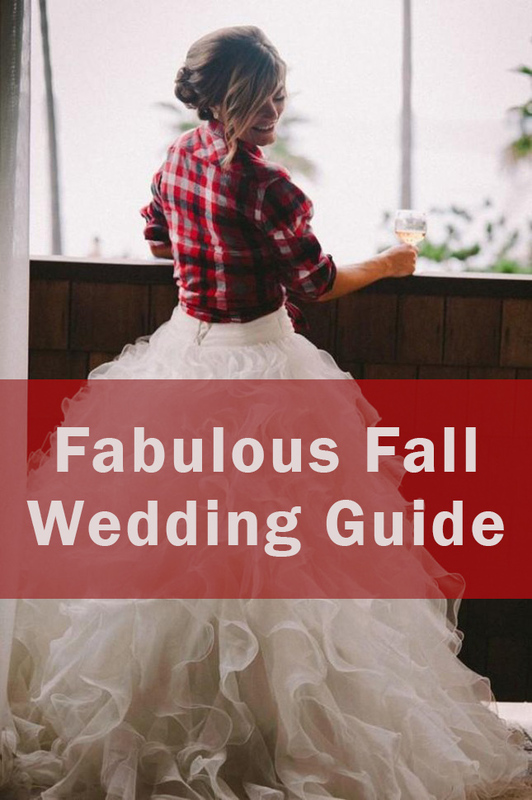 Read this guide to make sure you make the most of the season in every detail of your wedding! 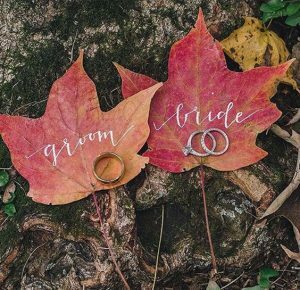 If you’re planning a autumn wedding, this article goes out to you – we’ve put together a list of inspiration sure to get you prepared to tie the knot! Prepare to fall in love with these gorgeous trends! Before you can decorate for the big day, you have to invite your guests! 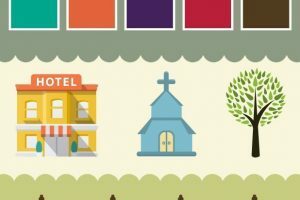 These unique Save the Dates are both adorable and perfectly seasonal! Fall wedding photo shoots are always stunning, but these two shots took our breath away! 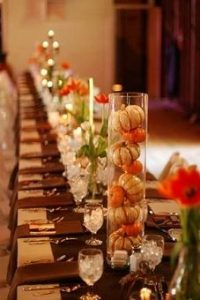 What clever ways to incorporate the season into your celebration! 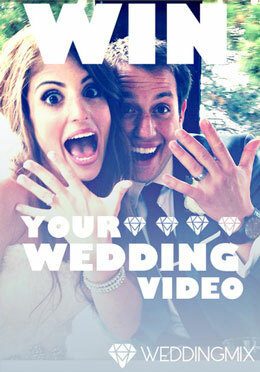 Don’t forget to capture each moment of your big day with a one of a kind DIY wedding video! 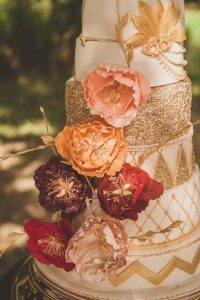 Look at the rich colors on these fall wedding cakes – so beautiful! 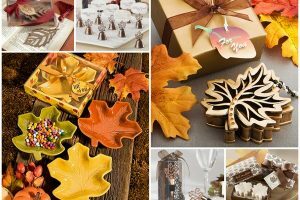 Fall colors, like bright red and orange tones, are absolutely eye-catching! Candles are a romantic way to add mood lighting to a ceremony or reception space. 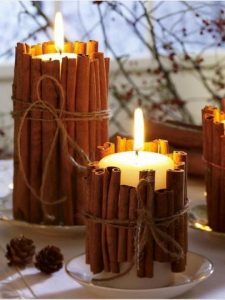 We love the way these candles are framed by cinnamon sticks – cute and an easy DIY touch! 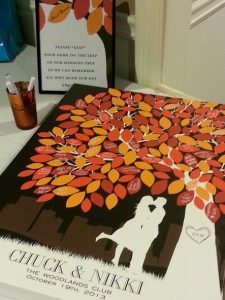 Or…turn your guestbook into something you can display forever with these artistic interpretations! 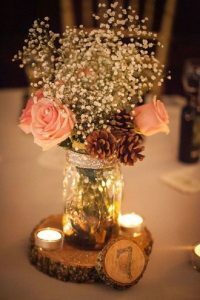 A bit of wood adds a rustic feel to any centerpiece design – perfect for fall weddings! 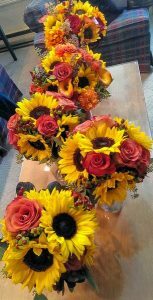 Also, who can resist such gorgeous flower arrangements? We’re in love! 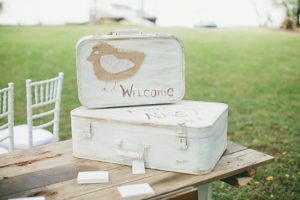 Looking for a budget saver for your special day? 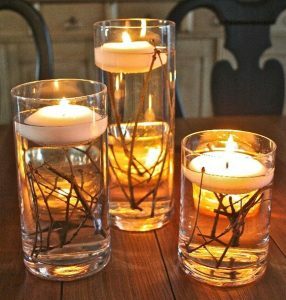 Consider having DIY centerpieces! 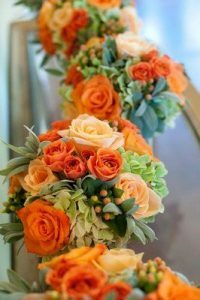 We’ve consulted an expert for some advice on creating your one of a kind arrangements! 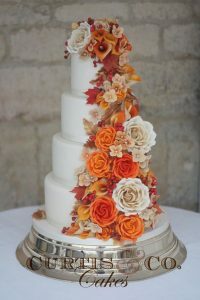 Ready to see some Fall Wedding decor in action? 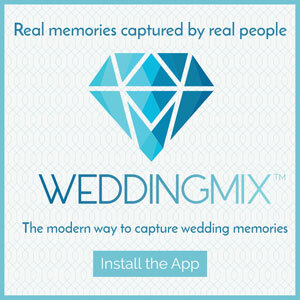 Check out this WeddingMix couple’s inspiring wedding highlight video below! 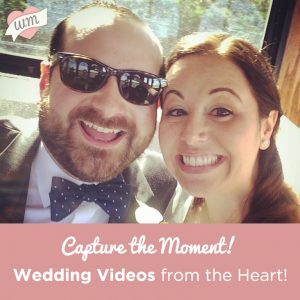 This video was filmed by friends and family of the happy couple using the WeddingMix app and cameras. Looking for a way to showcase fall tones in your appetizers? 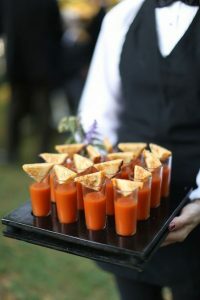 Consider these tomato soup/grilled cheese samples! Not only are they perfect for the theme – they’re a treat your guests are bound to love! 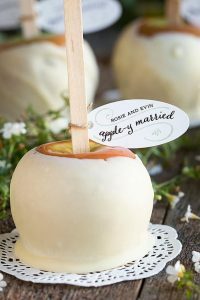 Send guests home with an adorable edible favor! 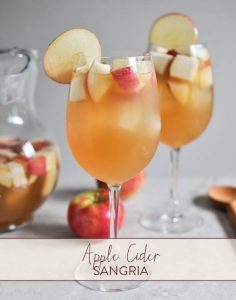 Apple Cider is a fall staple – give it a little bit of a kick and it’s sure to be a hit with your guests! This sweet and fruity cocktail is hard to resist! 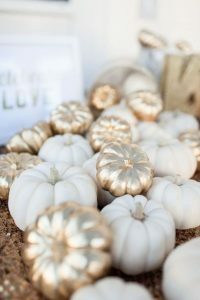 Nothing says fall quite like pumpkins – and there are so many clever ways to use them for a classy bit of fall wedding decor! As editor and founder of The Bridal Detective, Angelica ought to know! 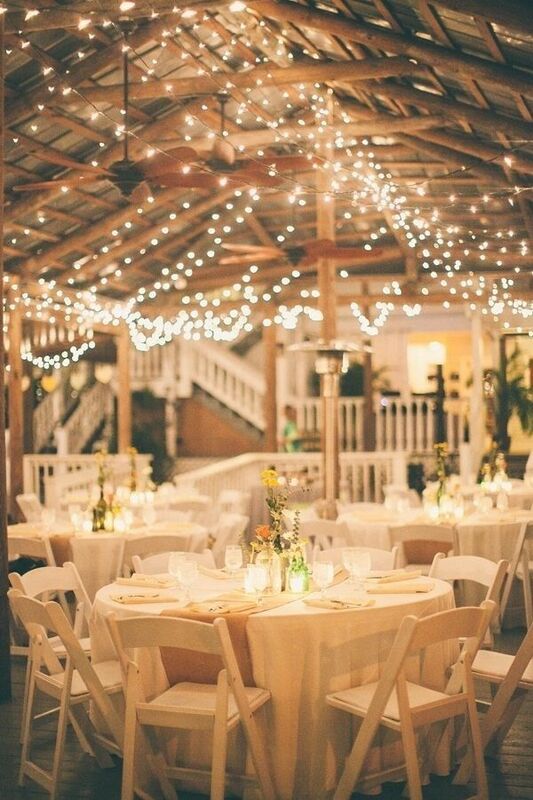 Though it may get chilly as the night goes on, keep your guests feeling warm with some strategic lighting! 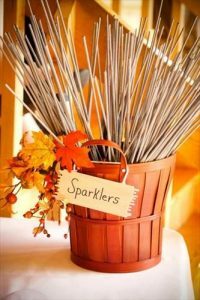 This is a fun way to involve your guests in the wedding fun – at the end of your reception, pass out sparklers to anyone who want’s to take part! Then, watch as they light up the night at your venue! You’ve heard of a second dress for a reception – but you don’t have to change your dress to change your look! 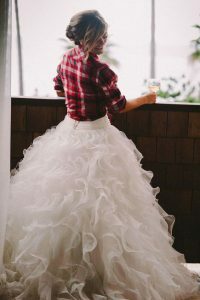 Throwing on a cute flannel like this with your dress gives you a more relaxed look! 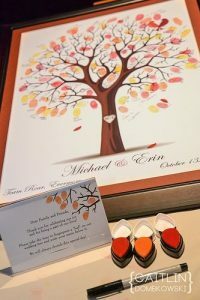 And don’t forget to capture every moment of your own fall wedding celebration with a WeddingMix package! The results are unforgettable! Have any fall 2016 trends you’re gushing over? Let us know in the comments, we’d love to hear from you! Thanks for sharing the awesome photographs. Stunning photographs. beautiful work as always. 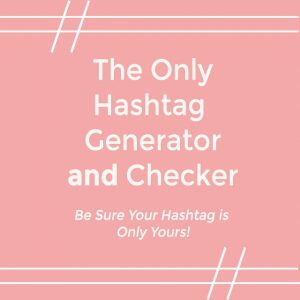 Thank you for sharing, very useful! information. 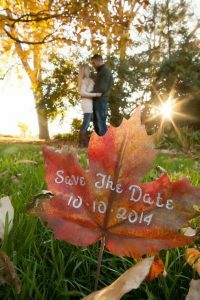 Thank you for this top tips for planning the fall wedding guide !